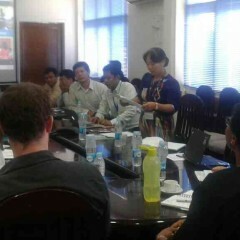 BABSEACLE started working in Myanmar in 2013, officially opening an office in Yangon in 2014. BABSEACLE is working to establish university and community based legal education programmes throughout the country. Supporting justice education and the Rule of Law through the introduction of Clinical Legal Education (CLE) Programmes. We are working with all 18 university law departments in Myanmar to assist in establishing and strengthening university based CLE programmes. 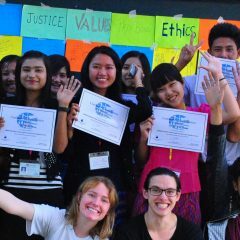 Our university partners are developing CLE curricula to bring CLE into mainstream legal education in Myanmar. This is being done through training of trainers, workshops, international placements, micro-grants, as well as materials including textbooks and support from regional and international CLE experts. 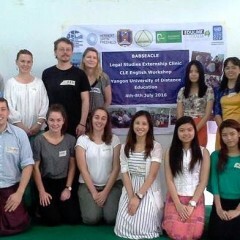 BABSEACLE is working with the United Nations Development Programme (UNDP), DLA Piper/New Perimeter, and Herbert Smith Freehills on a programme to bring CLE to Myanmar.